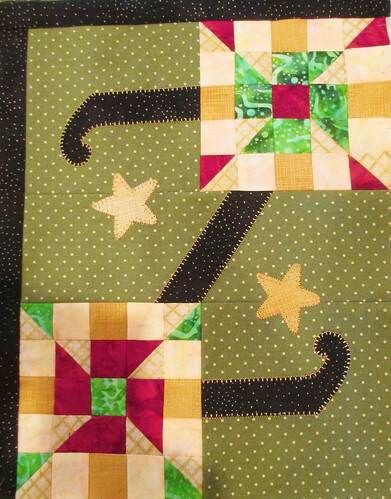 This entry was posted in A to Z for Ewe and Me, Quilting. Bookmark the permalink. 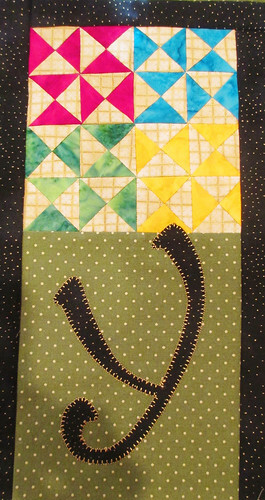 I love the bright colors you chose next to the duller green. Very graphic and happy. 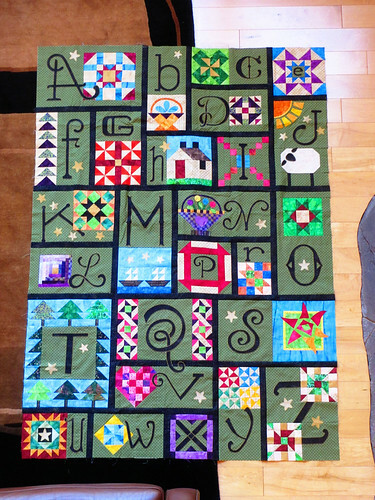 I love happy quilts!! 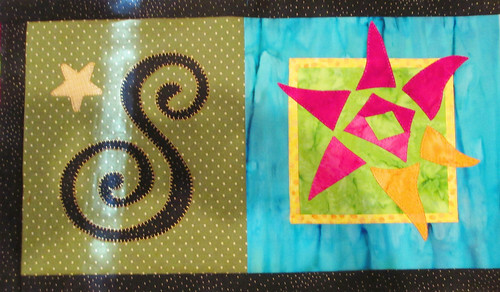 Hope to see you at the quilt show next week. Love the green dotted background. I have all the patterns but haven’t jumped in. Maybe some day.